LASIK (Laser-Assisted In-Situ Keratomileusis) is a very simple procedure of correcting refractive errors by reshaping the cornea with the help of a cold (Excimer) laser, with submicron accuracy. LASIK surgery is performed as an outpatient procedure in the comfort and convenience of the laser surgical suite. The entire vision correction procedure takes less than 20 minutes and both eyes are done in the same sitting . The procedure is performed using topical anesthesia (eye drops). Some patients report a slight, post-operative discomfort that can usually be alleviated with medications. Patients see a dramatic improvement in their vision within the first day. Most patients return to their normal activities within a day or two. A suction ring is placed on the eye to secure the eye and maintain pressure within the eye while the corneal flap is created. A microkeratome, an automated microsurgical instrument similar in design to a carpenter’s plane, is used to create a thin corneal flap which remains hinged beneath the upper eyelid. The corneal flap is 120 to 160 microns thick, about 30% the corneal thickness which is typically about 550 microns. Patients do not feel or see the cutting of the corneal flap, which takes only a few seconds. Corneal “flap making” has been researched and developed for 40 years, providing us with a long history of safety and stability. The corneal flap is then laid back and the inner stromal layers of the cornea lasered with the patient’s prescription. An ultraviolet light from the excimer laser reshapes the internal cornea with an accuracy of 1/2000th of a milimetre. For reshaping the cornea, the corneal surface is ablated with the help of a pre-programmed excimer laser. 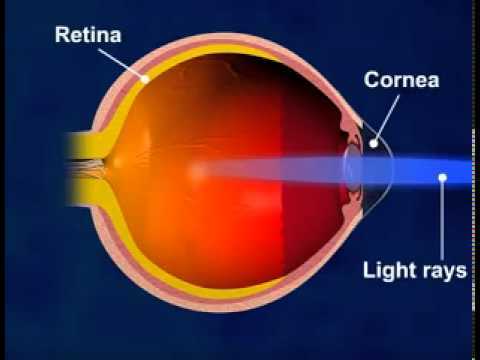 This changes the refractive power of the cornea, thus eliminating the refractive error of the eye. The corneal flap is then repositioned and the flap and interface rinsed. Once the procedure is completed, the surgeon will wait 2 to 3 minutes to ensure the corneal flap has fully re-adhered. At this point, patients can blink normally and the corneal flap remains secured in position by the natural adherence within the cornea. While it is possible to dislodge the corneal flap during the first day or two by physically rubbing the eye, this event is actually quite rare. After the first week, LASIK patients can resume their full activities. Since the protective layer remains intact with LASIK, no bandage or contact lens is required. However, a protective eye shield is normally recommended for a day. LASIK patients are placed on an antibiotic and anti-inflammatory drop regimen for about 1 week. They also need to instill artificial tears for a couple of months. Patients are able to travel by air immediately and exercise after 1 week. The safety and accuracy of the lasik treatment is further enhanced by the machine on which it is performed. Though there are various machines available for Lasik, we have EX500 which is the fastest Lasik workstation trusted and accepted worldwide. Lasik performed with IntraLase, a 100% bladefree Lasik procedure, delivers superior visual results. Because of the superior accuracy of the IntraLase method, patients who were earlier ineligible for Lasik will now be able to have Lasik treatment. Lasik has been performed at “The Eye Foundation” since 1997 and till date over 40,000 Lasik procedures have been satisfactorily performed. The Chiron 217 – C Lasik Work Station integrated with the Hansatome with which we started our Lasik operations in 1997 was the first in India to be installed at that time at our centre. In the year 2002, we went ahead and introduced Zyoptix treatment, an advanced software for further improving the visual standards. In the year 2004, we have installed the very new Chiron Z 100 Lasik machine with unique, unbelievable modifications. 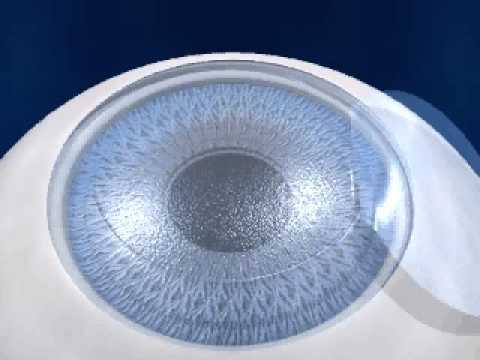 In the year 2008 we introduced INTRALASE, a 100 % blade free Lasik procedure. In 2011 we introduced the fastest & safest Excimer laser WAVELIGHT EX500. In 2014, we introduced the next generation Laser Vision Correction called ReLex SMILE, a 100% Flapless & Bladeless Lasik procedure.